Posted on June 6, 2018 January 20, 2019 Categories personal brandingTags personal brand, what is a personal brandLeave a comment on What is a Personal Brand? ﻿ You are going to be hearing more and more about Personal Branding. The major platforms are making changes to their algorithms (if you don’t know what an algorithm is just Google it). They are trying to stop people advertising for free and after all can you blame them? You wouldn’t let people come along and stick advertising posters in your garden so why should you expect them to let you advertise whatever you want on their property? Even if you decide that you will do paid advertising, there’s more bad news advertising rates on social media are steadily rising and you will be competing against the biggest companies in the world. So what is the solution? It something that some of the most successful people in the world have been cashing in on big time. Celebrities like the Kardashians, Social Media Ninjas like Gary Vee and the list goes on. They have become influencers in large part due to the power of personal branding. Personal Branding gives you the opportunity to make your mark in the world, to promote your business and your ideas to a large audience. You can improve your personal brand for free if you are just starting on your journey to success. So here are 7 tips that will give you a head start. 1 Start with your story – the long version and the short version that you can share online. The long version you can save for interviews. As you become more “famous” people will want to interview you and you need to be ready for that. 2 Be authentic at all times because your online presence will remain ad infinitum. 4 The reason you need a personal brand is to gain attention online. This will give you the platform to share your knowledge with as great an audience as possible. So get over yourself and focus on helping others instead of worrying about whether you are too fat or too thin, too young or too old. 6 Be Everywhere – join every popular social media platform. You need your photo and your logo to become instantly recognisable by as many people as possible. There is no such thing as saturation on the internet. 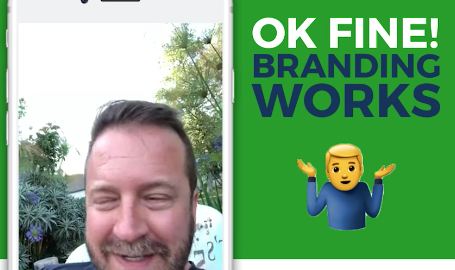 7 Brand your quotes, brand your videos, brand your photos. You can create brand templates on Canva or get them made on Fiverr. Have an author’s bio on all your posts. Make it easy for people to find you and provide links to your website and products. Be consistent with your brand colours, your voice, your posting cycles. The more content you produce the sooner you will become an influencer and when this happens the world is your oyster. LinkedIn is the largest professional community in the world with 500 million members and it might interest you to know that 44% of Linked users earn more than $75,000 in a year. Maybe it’s worth your while to take it more seriously. LinkedIn is mostly a search engine as well as a social platform. If you are someone who enjoys socialising you will find plenty of engagement especially in the LinkedIn Groups. Your profile is the first impression of your brand that these professionals will see, so it had better be a good one. Don’t forget to Create an Outstanding Headline. It needs to capture their attention and show what’s in it for them. This is one platform where you must have a professional headshot. You can use emojis in your profile to stand out. The mac shortcut for emojis is control + command + spacebar or you could use getemoji.com (no app required). Your profile is your very first point of contact where you can promote you and your brand to potential clients, customers,CEOs, Influencers and other professionals. How Do YOU Become an Influencer on LinkedIn? You could start by asking yourself a few questions if you want to be successful on LinkedIn. Do you have a clear idea of who your target market are and what keywords they are searching for? What do they need to know about you to feel comfortable to engage with you and ultimately buy from you? What can you add to your profile to make you stand out from your competitors? Why would an influencer engage with you? Does what you have to offer really provide value and solutions for your targeted audience? Usually we are trying to find out ways to stand out, but on LinkedIn you must also be careful to “fit in” in certain ways. Your personal brand may be quite casual on other social media platforms, but you are sharing the LinkedIn community with CEOs and Influencers. The way you would prepare and turn up for an interview is basically the way you should be turning up on LinkedIn. Many LinkedIn members are in the corporate world, so don’t be too scathing about working in the cubicle or talking about J.O.B.s although it can be very tempting. 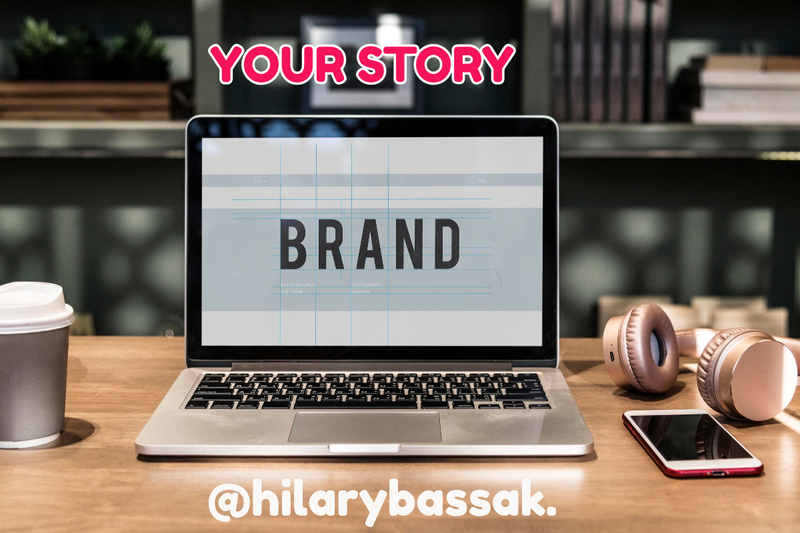 Bear this in mind when you are adding your value content and telling your LinkedIn Brand Story. You can of course remind them of the advantages of the laptop lifestyle and the freedom it can provide. Although it may seem unfair people do judge you on the number of followers and contacts that you have on this platform. So you had better start building a list right away. As with all social media platforms, you must engage with your community by sharing and giving them thoughtful comments. It’s not all about you and your brand – it’s all about them and what they need to know about you. It’s not about your needs, it’s about their needs. Keep this at the forefront of your mind always. Set out your stall carefully – add at least 10 pieces of relevant content including graphics and video. Use your hashtag and encourage your followers to use it too. (My new one is #askhilaryb) This will give them an opportunity to see more of your brand content and to ask you questions and engage with you on other platforms. How Can You Use LinkedIn? Cross promote on other platforms. Send your followers on other platforms directly to your LinkedIn Profile page. To change your LinkedIn URL simply go to the ‘Contact Details’ section of your profile and click on the URL link to the bottom left of the section. Nowadays people prefer specialists so you don’t want to have too many different endorsements are you may be looked upon as a Jack of All Trades…Many consumers only want to deal with specialists, so when you list too many skills it suggests that you’re a generalist rather than a specialist. And most importantly make sure that the skills you do list are consistent with your personal brand. Skills that will help to solve your client’s challenges, objections. This will enable you to get some testimonials, make sure you add them together with the full name of the author. LinkedIn also enables you to re-order the sections of your profile in any way you prefer. Does It Seem Too Much Like Hard Work ? You need to consistently add engaging content.